Staybridge Suites, Crowne Plaza Ravinia & Le Meridien: Swim & Snooze in style • Kids: Poolside Fun • Canines: Pet-friendly rooms Shake Shack: Treats for those with two or four feet • Kids: Cups, Cones & Concretes • Canines: Pooch-ini & Bag O’ Bones Dunwoody Nature Center: Outdoor fun for everyone • Kids: Shaded Playgrounds • Canines: Wooded & Creekside Trails Village Burger: Al fresco dining for the whole family • Kids: Burgers & Fries • Canines: Patio fun Brook Run Park: Up, up & unleashed • Kids: Kiddie Quest at Treetop Quest • Canines: Brook Run Dog Park With great spots for the whole family and even those that cater to your furry friends, playtime in Dunwoody gets faces smiling and tails wagging! TreeTopQuest.com/Dunwoody At heights up to 55 feet above the ground, and zip-lines stretching more than 200 feet, Treetop Quest boasts ample adrenaline spikes for thrill seekers of all ages. As one of the most unique, family-friendly adventure courses in Georgia, Treetop Quest is touted as a new genre of educational, adventurous, and environmentally responsible recreation. SpruillArts.org The not-to-miss art mecca of Dunwoody is the Spruill Center for the Arts and Spruill Gallery. The Center serves as the South’s largest community arts education center offering classes ranging from pottery, jewelry, painting, and more. The Gallery houses the artwork from students, teachers, and emerging artists of all ages with special keepsakes available for purchase. The Gallery is also home to the iconic “Everything Will Be Ok” mural and landmark. PerimeterMall.com The second-largest mall in the Southeast is located in the heart of Perimeter Center. Fill your day and closet with Perimeter Mall’s 200+ vendors offering signature retailers, specialty boutiques, designer-exclusive shops and more. Indulge in an all-day-escape at Woodhouse Day Spa or treat yourself to delicious dining at a number of restaurants located onsite. SpruillArts.org Local artist, Jason Kofke, erected an inspiring work on the side of an old seed house belonging to the Spruill Gallery in 2009. The message was simple but its impact was profound. Years have passed and the art installation still serves as a mural of encouragement and positivity for visitors and locals alike to contemplate and resonate in the message that sets Dunwoody apart. StageDoorPlayers.net Rediscover the magic of storytelling at a Stage Door Players show. Dunwoody’s professional theater company produces a full season of popular, compelling and entertaining works, featuring world premiere and regional debuts of new plays and musicals. Performance season begins in September and runs through August of the following year. DunwoodyNature.org The Dunwoody Nature Center’s 22 acres of open space allow people to experience nature, increase environmental understanding, cultivate community, and encounter the arts. The Nature Center is beautiful in every season and features wetlands and boardwalks, wooded and streamside trails for hiking, a picnic meadow, shaded playgrounds, a traditional teepee for exploration and education, and a one-of-akind hammock garden for relaxation. get out and play every day! 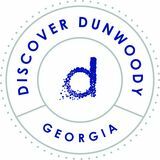 desires something with more local flare, Dunwoody also offers you the right mix of shops and boutiques with everything from home décor to specialty gifts, art and more! With great spots for the whole family and even those that cater to your furry friends, playtime in Dunwoody gets faces smiling and tails wagging! “Everything Will Be Ok” Mural SpruillArts.org Local artist, Jason Kofke, erected an inspiring work on the side of an old seed house belonging to the Spruill Gallery in 2009. The message was simple but its impact was profound. Years have passed and the art installation still serves as a mural of encouragement and positivity for visitors and locals alike to contemplate and resonate in the message that sets Dunwoody apart. nature experience. For our younger visitors, Dunwoody also get out and play every day! Perimeter Mall PerimeterMall.com The second-largest mall in the Southeast is located in the heart of Perimeter Center. Fill your day and closet with Perimeter Mall’s 200+ vendors offering signature retailers, specialty boutiques, designer-exclusive shops and more. Indulge in an all-day-escape at Woodhouse Day Spa or treat yourself to delicious dining at a number of restaurants located onsite. Stage Door Players StageDoorPlayers.net Rediscover the magic of storytelling at a Stage Door Players show. Dunwoody’s professional theater company produces a full season of popular, compelling and entertaining works, featuring world premiere and regional debuts of new plays and musicals. Performance season begins in September and runs through August of the following year. ALL IN GOOD TASTE From the locally-owned to the well-known, whatever your inner fashionista or foodie craves, you’ll soon discover how delicious life can be in Dunwoody. When it comes to dining, you can take your pick of burgers on a breezy side porch or even five-star fare surrounded by fine art. Ready for retail therapy? Then we suggest that you fill your day and closet at Perimeter Mall, located in the heart of Perimeter Center. If your heart desires something with more local flare, Dunwoody also offers you the right mix of shops and boutiques with everything from home décor to specialty gifts, art and more!